Don’t replace your carpet just yet! We offer professional carpet repair and carpet stretching in Denver to bring your carpets back to life! My carpet is wrinkled, buckled, loose, or pulling away from the wall! My carpet is ripped, has a torn seam, or an uncleanable stain! Carpets tie the room together. Except when they are loose, wrinkled or otherwise damaged. Because, when that happens, your floor looks more like it’s wearing an over sized, poorly fitting sweater. If you’re like most people, you prefer properly fitting clothes. We like to think that your floors do too. Get rid of unsightly wrinkles and bubbles. Instead, give your carpets the makeover they deserve with local, professional Denver carpet stretching services. Frequently, our customers think they are going to have to replace their wrinkled, loose carpets. Sometimes this is warranted, more often it isn’t. An experienced and well trained expert (like ours) will know whether your carpet can be saved. Alternatively, they’ll tell you if it’s time to replace it. We offer free carpet stretching estimates. Because of that, there’s no reason to jump right to replacing your carpet. Let us have a look at it first. We’ll give you a straight answer on whether you should get your carpet restretched, or if it makes more sense to replace it. In addition to being unsightly, wrinkles or bubbles in your carpet present other issues too. Regardless, a professional Denver carpet stretching is typically an easy fix. Carpet wrinkles in residential carpet or in commercial carpet are easy to trip over. Therefore, you don’t want to be nursing a sprained wrist for weeks. Also, you don’t want to have to deal with legal issues associated with with a trip and fall incident. Wrinkled carpet wears out prematurely. This is because,as people walk over it, the carpet pinches, which damages the carpet. This repetitive use on the same wrinkle also makes it weaker and the wrinkle becomes more obvious over time. Your synthetic carpet’s backing is typically made of latex. Over time, with wear, this starts to loosen up. When this happens, the original tension in your carpet lessens. Thus, wrinkles and bubbles start to form. Re-stretching the carpet with a power stretcher is the prescription. After it’s been stretched, the carpet is re-tucked onto the tack strips with a knee kicker. Finally, the excess carpet is trimmed off and thrown away. You’re left with a tight, properly stretched carpet. We see plenty of Denver carpet stretching issues. The most common problem we see is poor carpet installation. For carpet to be correctly installed, a tool called a power stretcher is needed. This tool powerfully tensions and stretches the carpet into place. Next, the installer then uses a tool called a knee kicker. This places the stretched carpet onto tack strips, where it’s then firmly held. Often times, lazy “installers” skip the power stretcher. They install whole areas of carpet with a knee-kicker only. This leads to, you guessed it… your carpet developing wrinkles and bubbles. LONG before it ever should. Along with carpet stretching and repair work, we’re often called to tackle big pet messes. This is often where carpet cleaning and stretching are used together. Most companies don’t have the requisite skills to properly tackle a badly pet stained carpet. With carpet cleaning, we can remove pet odor and urine from carpet better than any company we know of. However, with badly stained areas and numerous pet stains, we provide a full Denver carpet cleaning and stretching service instead. 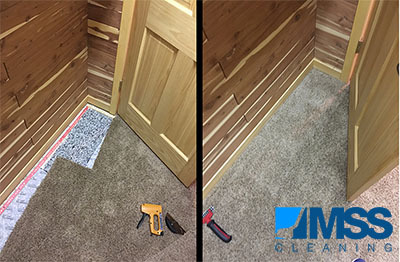 We do this to save you money and get a perfectly clean result. Next, we clean (or sometimes seal) and deoderize the sub-floor. Then we clean the front and back of the carpet. Finally, we replace the carpet pad with new pad. Once everything has been fully cleaned, we reinstall the now fully cleaned carpet. You’re left with clean, fresh smelling carpet. When this is done, you can be certain that the urine and odor will be completely gone. Get in touch with us to discuss your carpet stretching Denver area project. We provide many different carpet repairs for many different issues. 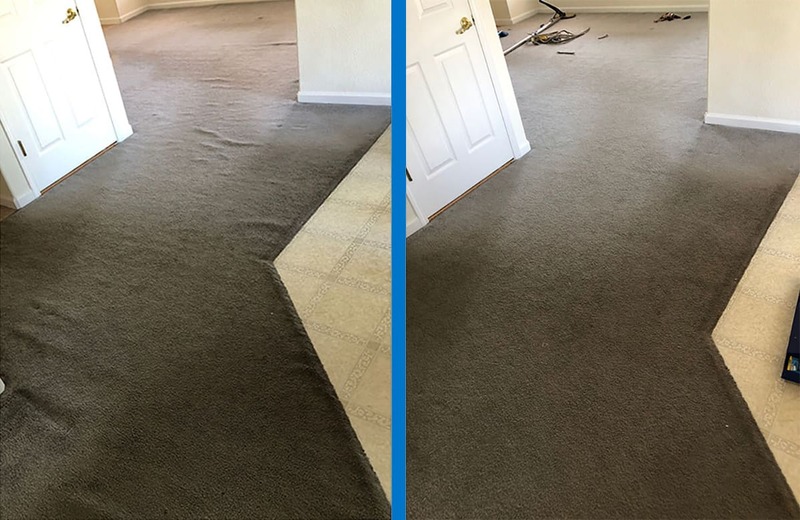 With years of experience, our talented technicians can tackle everything from a carpet cigarette burn to replacing large pieces of ripped carpet or entire rooms. Sometimes your cat is having a rough day. So he decides to claw a nice hole in your carpet. Because sometimes we all need to let go of a little stress. While tearing holes in your carpet may relax your cat (or your dog, or whatever happened to cause the damage), it certainly doesn’t relax you. Fortunately, as long as you’ve got some spare matching carpet, we can cut out a small patch. We can them seam it right back in place for a nearly invisible repair. If you need a more complex carpet repair or patch or a carpet repair for an irregular shape, fear not. We can cut out the damaged piece of carpet and seam in a new piece. 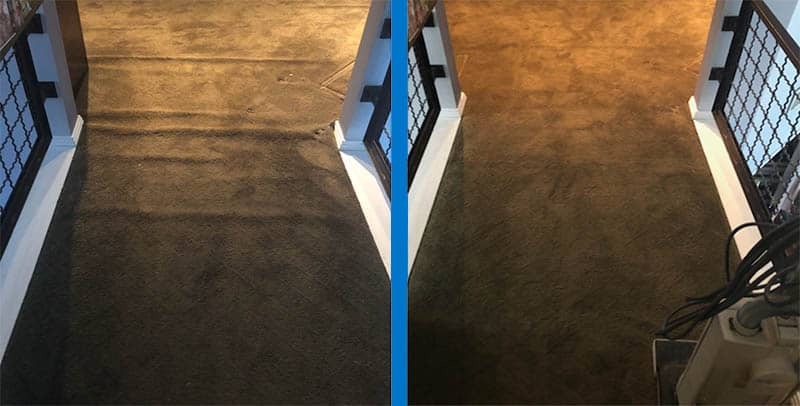 Our carpet repair Denver services use state of the art Kool Glide carpet seaming tools.These tools eliminates distortion of the carpet fibers that can be caused by inferior carpet repair equipment. The Kool Glide also prevents any damage to the carpet backing caused by some old-school tools. You carpet repair is permanent and the seams are the best you’ll find anywhere. 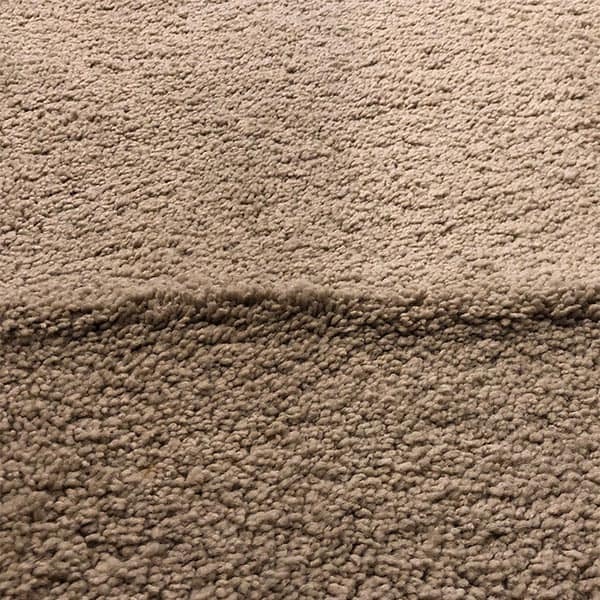 Does your carpet have a split seam? Or maybe a string got caught in your vacuum and pulled out a run in the carpet? Both of these issues can typically be fixed without replacing your carpet. We use high quality radio frequency activated (yes, really) seam tape. This seam tape hold the tightest seams available. For carpet runs, we can use glue to stop the run and fiber match in some new carpet pieces. Or we can replace and re-seam in a new area. 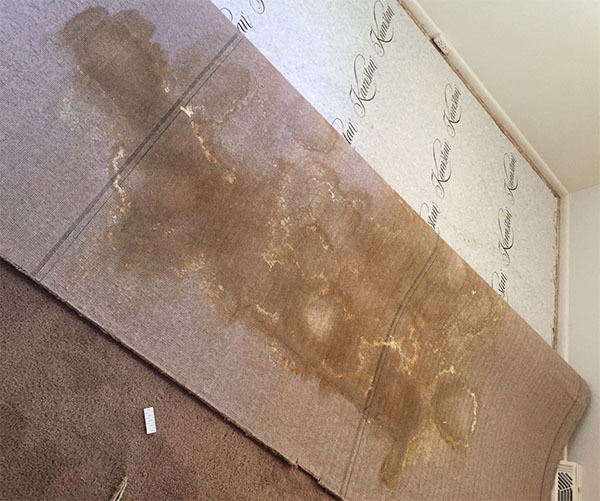 Carpet repairs are a good solution when a stain cannot be removed. Typically, almost any stain can be removed, but some stains like bleach, cannot. Instead of replacing the whole carpeted area, we often save our customers money by repairing a small area. MSS Cleaning is your proven choice for carpet repair in Denver. Many times, carpets need to be repaired and cleaned. A lot of our customers like that we can expertly provide both services. Its convenience for them that we can both clean and repair the carpet on the same day. We get that you’d probably prefer not to spend your time calling around. You’ve got better things to do than to try and find multiple vendors for your project. Thats why we offer expert Denver professional carpet repair services and carpet cleaning under one roof. Saving you time, hassle, and frustration. 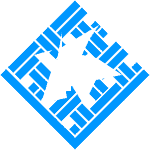 MSS Cleaning is your one-stop-shop for carpet stretching Denver, carpet repair Denver, carpet patching, carpet cleaning and more.